Look at Zoë’s little chubbers, I could bite (I mean kiss) those cheeks all day. This little lady turned one last week and I’m still sitting here wondering how that year flew past us. Though it went by quickly I’m excited for everything that lies ahead…first steps, talking, a big girl bed and so many other fun moments to look forward to. 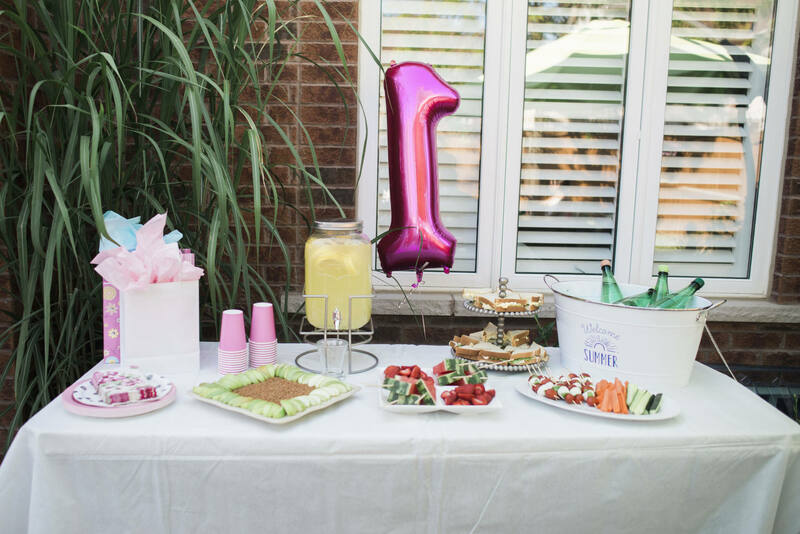 We celebrated Zoë’s birthday in style by throwing her a whimsical party outside filled with flowers and all things girly. 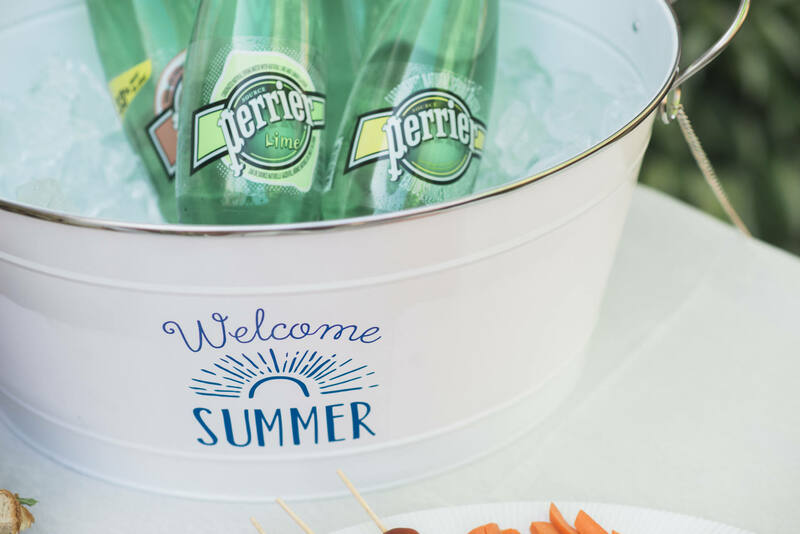 I picked up a some items from the Oshawa centre that made entertaining a breeze – the “Welcome Summer” beverage bucket from Chapters being my favourite. 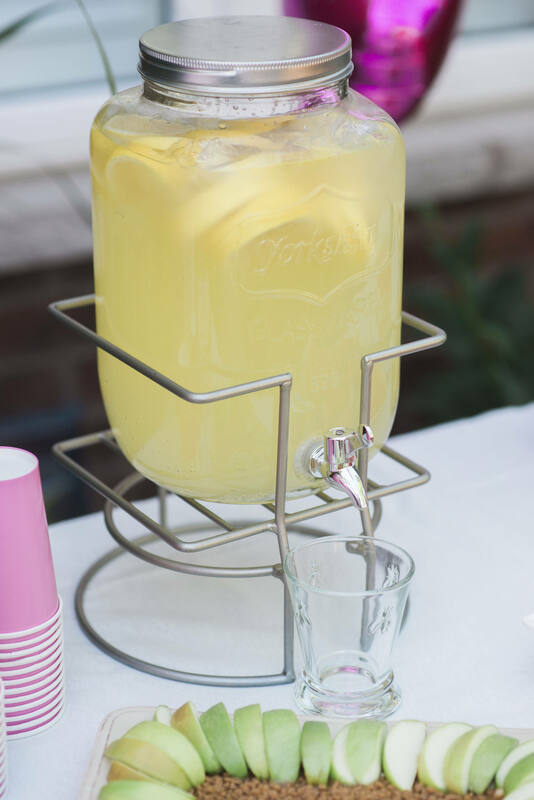 Chilled drinks – check! I also found the butterfly pillow, beverage dispenser and cake stand there (which are all on sale). For food we decided to keep it light with caprese skewers, watermelon pops, lots of fruit and sandwiches. I managed to snag these great serving platters from Hudsons Bay on sale as well. I guess it was a good day to be shopping haha! To tie the theme together I wanted to add a little personal touch so my dad and I made this big floral Z together. 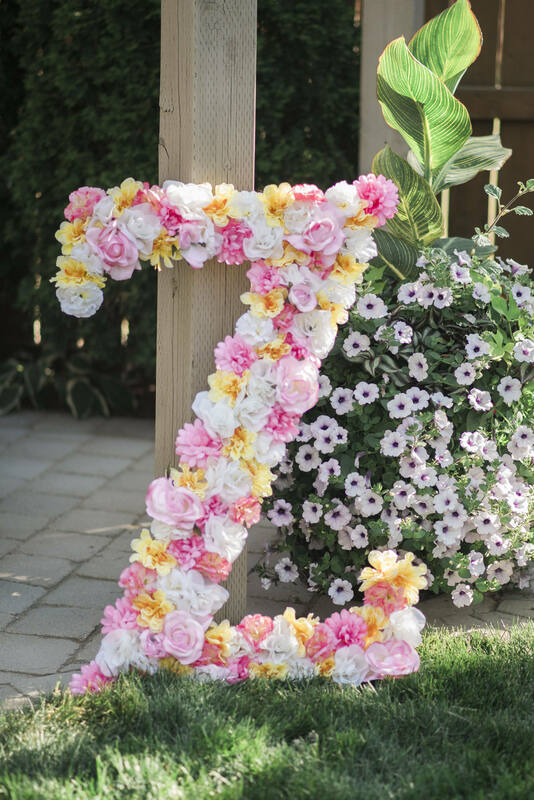 He cut the base letter out of wood and we covered it in large fake flowers that I picked up from Dollarama. I haven’t done a DIY in a while and this was super easy and really inexpensive. You just have to pop the top of the flower off of the wire base and hot glue it onto the wood. It’s really that easy and looks so pretty! 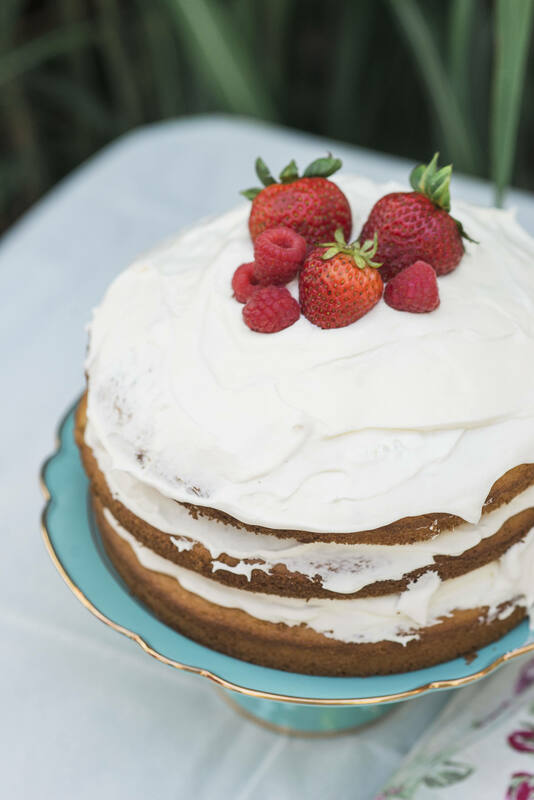 Do you have any great entertaining tips or ideas for outdoor birthdays? It all came together perfectly and she looks so adorable! I love her little dress and the floral Z is beautiful!! 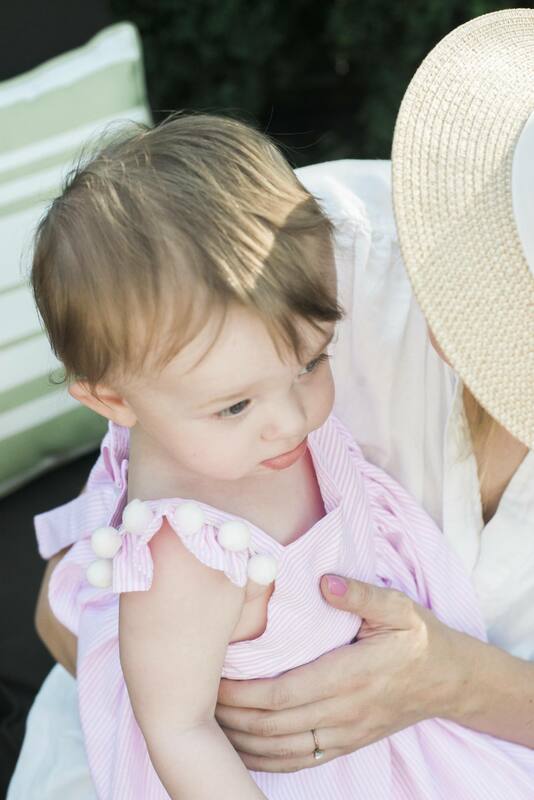 Awesome job putting together such a fabulous party for that sweet baby girl, mama! such a sweet party. I love all the small details and how everything compliments each other! Great job mama! such a sweet party. I love all the small details and how everything compliments each other! You did such a great job. 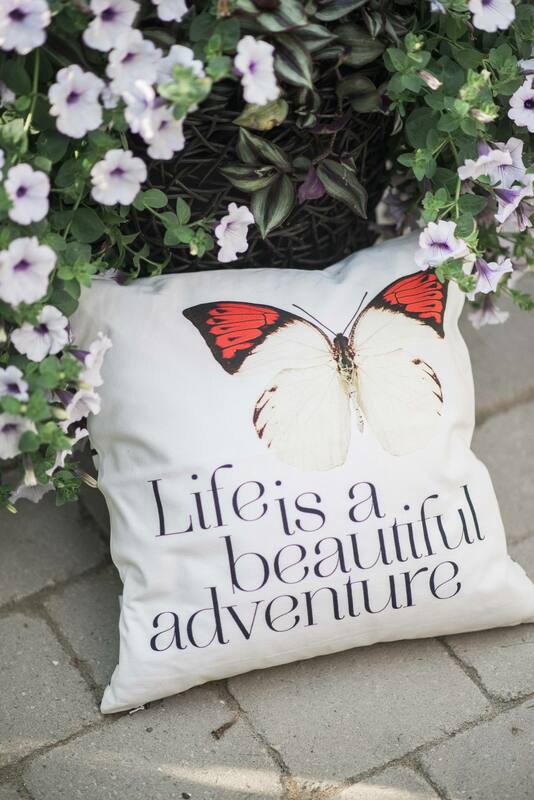 Love all of the great things you picked up at Oshawa Centre. Must plan a trip soon and grab some goodies. Happy birthday to the little one an massive congrats for the decorations! 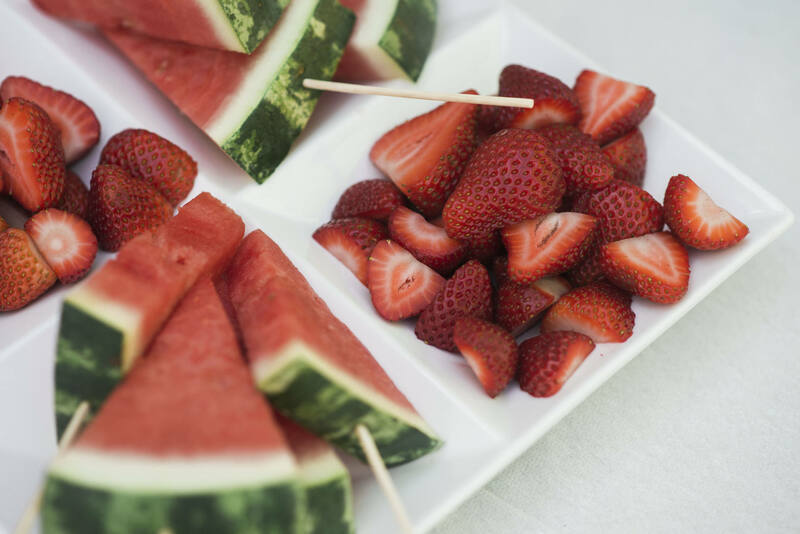 It looks amazing, from the watermelon-on-a-stick to the drink cooler! What a sweet little party! Love how you decorated everything, especially the flower Z! Happiest of birthdays to your precious little girl! It all looks so pretty! I love how the Z came out! I love it all! That Z looks beautiful ! Very sweet! Love the giant flower Z 🙂 very cute decor. Very nice touches. I will be visiting Chapters very soon! Do tell where her sweet pompom dress is from?